Enhance the safety, health and beauty of your trees and prolong their lives with professional pruning. 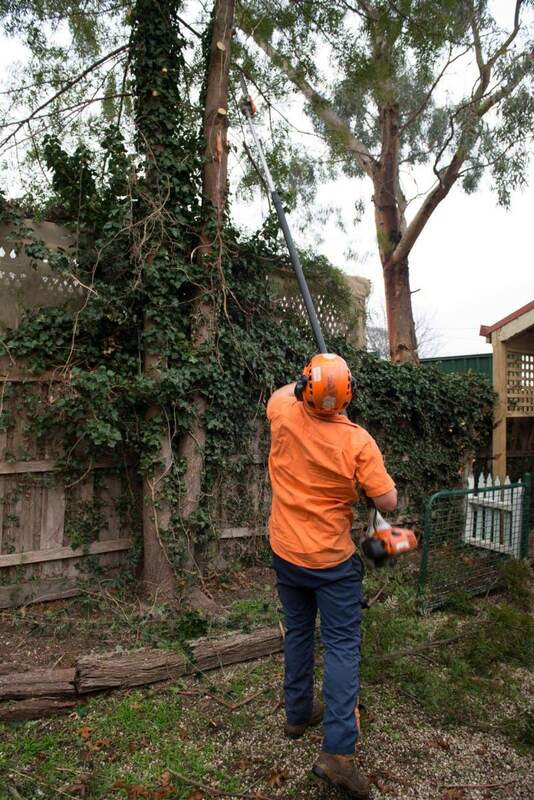 Timely pruning – especially after storm damage – reduces the risk of injury or property damage from falling branches. Your trees may also need regular pruning to stop them obstructing driveways or paths, and interfering with surrounding structures or power lines. We also offer habitat pruning for dead trees. After your tree dies, it still supports birds, insects and fungi which are beneficial to the rest of your garden. 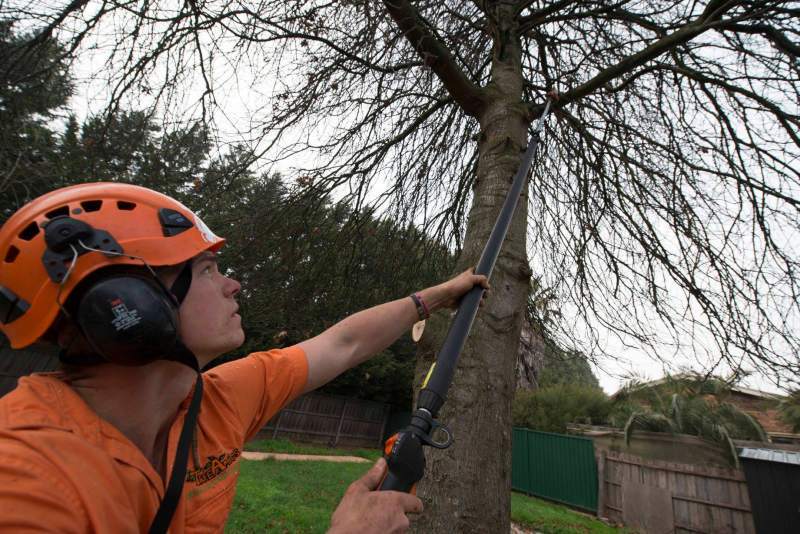 By pruning the branches at risk of falling, we make your tree safe while preserving its environmental benefits. 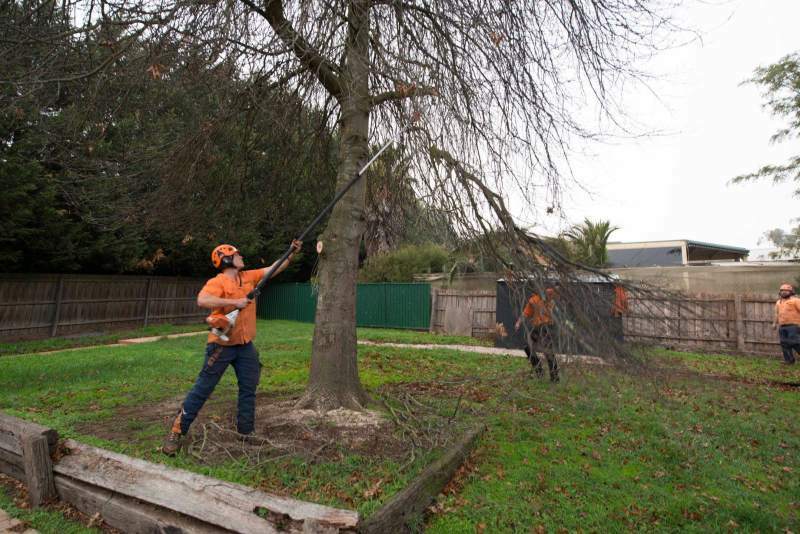 Winter is the best time for pruning because trees become dormant – they stop growing and their metabolism slows down. Dormant trees are more resistant to pests and diseases that can invade through the cuts made during pruning. Professional winter pruning prepares your tree for attractive and healthy spring growth. In winter, it’s easier for your arborist to spot tree defects and improve the shape of trees by studying their structure in the absence of leaves. Pruning in winter also minimises the impact of the operation on the rest of your garden, which is less sensitive to foot traffic, equipment movement and branch removal in wintertime. We are trained to diagnose the problems or hazards your trees present and will provide the best advice on how to fix them. We can also determine whether you will need Council permission for pruning works and assist with your application, if necessary. We use only the most experienced tree climbers and superior equipment to maximise safety and ensure high quality results. We are expert at pruning in limited space, or where access is difficult. All branches are lowered on ropes to ensure no harm to the surroundings. Be wary of doorknockers offering to prune your trees. Always ask for identification and the name and physical address of their business. Check permit requirements with your local Council before agreeing to any work.